Two students from Eastwood have been charged following a failed attempt to import 778kg of loose leaf tobacco. 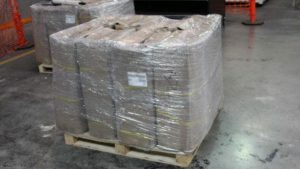 Australian Border Force officers intercepted sea cargo containing the tobacco following information they received. According to the Daily Telegraph, officers executed a warrant at the students address on 30 July. The two men were charged with contravening Section 233 BABAD of the Customs Act 1901. ABV investigations commander Graeme Grosse said the Illicit Tobacco Taskforce (ITTF) was behind the bust. “We know the profits made by those engaged in this illegal industry often end up supporting organised crime or other criminal activity,” Commander Grosse said. “The ABF-led ITTF is already making huge progress in identifying illegal consignments and tracking down those involved.